Anatomical Lifting Manikin demonstrates how the vertebrae of the human spinal column react when heavy objects are lifted correctly and incorrectly. 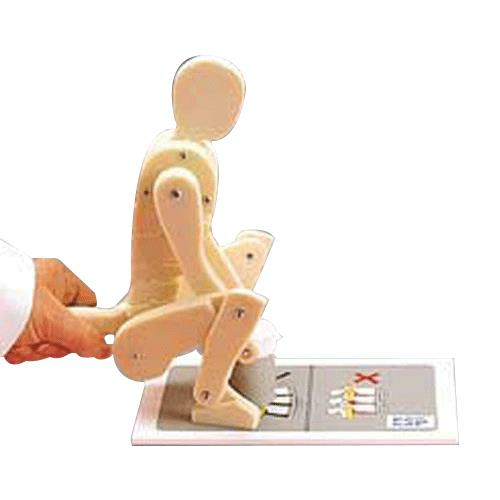 The manikin can lift a weight from either of two positions, if the correct posture is used, the spine is undistorted (no spaces between the vertebrae) and the incorrect posture, causes obvious visible strain to the simulated vertebrae. Base size: 5.5" x 9"